I had my windows put in about a year ago. They worked great and looked great. The city inspector comes by some months later and he showed up on a day and time I was at work. I called them back and apparently the woman who scheduled my appointment didn’t work there anymore. No one could give me straight answer on what happened other than I must have scheduled it on that day. I’m sorry but I have had the same hours for years. I wouldn’t schedule something on a work day. So then the city inspector does come finally some weeks later and says we don’t pass due to some sticker with solar information on it, wasn’t there. By the way YOU don’t schedule that appointment, THEY do. My inspection had to be turned in to the city by the end of August with a pass. Called Conservation Construction and their administrative team absolutely SUCKED. Whenever I would call to see what was done about it, the girl who answered said she was new and didn’t know but always transferred me to another lady. Left voicemails and to this day, I STILL don’t know if they sent the city the information that they needed in order to pass inspection. NO ONE EVER GOT BACK TO ME DESPITE MULTIPLE VOICEMAILS. The salesmen and window installers were great but unfortunately their administrative team is trash. I need to call them pretty soon because one of my windows isn’t locking properly. I hope they are able to somewhat redeem themselves (administrative team only) this time. I had all the windows replaced as well as a sliding glass door. I did the replacement over a 3 year period. These guys are awesome! even the inspector said that he realty likes these guys. The windows are very good quality, highly efficient and the Low E keeps the heat and cold out very well. Would highly recommend! This is the second time we ordered Conservation Construction windows. In our on personal home about 8 years ago and we still LOVE our windows and again with a fix and flip project we did on a property listing my husband and I did on Glencoe Street in Park Hill. The representative, Cody, we worked with was a super guy, gave us a super price, great customer service, the company had fast response and turn around time and the windows are Great! The only reason I did not rate this company five stars is because, not that we weren't forewarned, but we didn't like that the independent contractor installer requires more money if the home window sills contain lead based paint! The cost for using manual tools opposed to electric tools because of the lead based paint, ate up the savings we were given initially! But overall we were happy with the service the company provided. We have used Conservation to replace all our openable windows several years ago. We had them come back and do all the picture windows along with a slider recently. Also contacted them after hail damaged our siding and had them replace all the siding. Everything looks great and their crews were always very professional. The Conservation Construction Team is Professional & Very Easy to work with. From our initial contact, to placing our order, to installation (and clean-up) and even a warranty call to replace a window that we broke. They are Colorado based & their windows are made here too!!! Conservation did a great job re-siding by house. The Hardi siding is a huge improvement over the vinyl siding I had. Their foreman did an excellent job and his craftsmanship and attention to detail were top-notch. Work was done in a timely fashion, very pleased with the results. Great experience from the very start! Nice people, quick and efficient, and a quality product that sells itself. We choose Conservation Construction to replace our single-paned aluminum windows. They have done 2 phases of our home and we couldn't be happier. The windows are gorgeous, easy to use and have already saved us on our heating bills. They have multiple payment options and the work is usually done in 1 day and cleanup is thorough, you wouldn't know they were even there! Would recommend them to anyone! We've had them out two times to replace pretty much every window in the house, and the back patio sliding door.On the first batch, there was a small issue with one of the panes in our basement window being cracked during the install, but I would say they dealt with it promptly and got it replaced quickly and without any trouble on our end.The second batch also went smoothly, and the back patio door is a huge improvement over our old one.In both cases the work crews were quick and courteous, and did a good job cleaning up after themselves.We like the quality of the windows, and the security features of the windows and the door.Thanks! This will potentially be long, skip to “Summary” if you just want the highlights.The original Pitch:First, you may be annoyed with people coming to your home and trying to sell you things, but you may also find that some groups that do this are well meaning and worth the discussion, this was one of those. The individual was very cordial and polite, he did not push the product on us, in fact we had questions galore and he was very generous in giving us answers when he could or deferring to a sales rep if not. He offered to set us up with a free home inspection/measurements and quote and demonstration on our time and we took him up on the offer.very polite and professional.The Demonstration:The sales individual was very polite as well, he came prepared with a tablet full of information and briefcases of demonstration window panes and a small version of their custom made (locally) windows. He politely showed us the benefits of modern/customer made windows and we discussed the benefits of the windows and glass being made at altitude, not shipped from low altitude to higher ones. We were also given a demonstration of many different window panes, single, double, and their custom made ones, its clear it was a big upgrade for us regardless. Overall, again, not pushy at all, gave us plenty of time to come to a decision on our own, was very generous in showing us multiple options, demonstrations, and a very fair price. The sales representative was VERY knowledgeable about their windows and gave us answers to all questions we had without hesitation.The Installation:The Installers came by to re-measure everything and ensure we had an accurate measurement for the windows and advised they would call back in about 3-4 weeks to set up the installation once the windows were ready. The installation was scheduled well ahead of time and we were given feedback on clearing enough room out for them to work in the area (about 3-4 feet in front of windows). I was advised they would show up between 8-9 and they promptly showed up around 7:50am and knocked on the door at 8 (during the time leading up, they unloaded needed equipment and prepared for the job). The Installers consisted of the original individual I met up to measure the home and he reintroduced himself and took a look around to make sure we didn’t need to move anything additional. They got to work right away after that, drop cloths were laid to catch all debris and they had all the tools they need to ensure the work was done properly. Additionally as each area was completed, they utilized a shop vac to clean up any excess in the area. Once they finished all the work, they cleaned everything up, provided me with all of my needed warranty and energy saving documentation and then demonstrated how to remove the window and screen for cleaning as well as properly lock, unlock, and set partial opening if needed. The details were the same demonstrated by the Sales rep previously. Overall the installation was completely painless and you cannot tell that any dirt was had anywhere because of the drop cloths and vacuum clean up. They gave me time to walk around and check out each window myself, after double checking and touching up anything on their own. They also provided me feedback on to let the windows sit for several days to ensure no imperfections formed with the installation. Overall, very professional and quick installation, thorough and clean.Summary:The overall process was very good, I would recommend this group to anyone looking to replace their windows, the price was fair, everyone was very polite and professional through the entire process, and the product is great so far (there is a very clear difference in the old windows and the new, in the temperature feel from in to out and the light coming in through the windows. Hopefully this review is helpful to someone out there looking for this type of thing. They put new windows in my home. Installation was easy and they did a great job. There was a small problem with one of the frames that came up a few months after installation and CC got me in touch with the manufacturer who came out and fixed it right away. I love the windows and working with CC was a great experience. To anyone reading this review, I strongly recommend using Conservation Construction to replace your old windows.We talked to them several years ago and were very impressed with the quality of the product. The windows were made in Colorado and thus took into account the altitude, which can make a difference in double- or triple-pane windows. Also, the ability to block the sun’s heat through the window was a big selling point- cooler in summer, warmer in winter.We have used Conservation Construction each year since then, replacing some of the windows in our home. As the work was completed, we were also impressed with the competence of the installers. We were told by the company that they only hired the best, and I believe them.We still have some windows left to install, and you can rest assured that we will be bringing them back. For quality, price, and customer service, they are number one in my book. 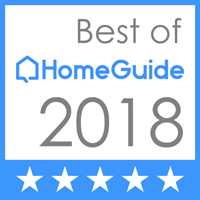 Best Window company in Colorado! Prompt, professional, and focus on quality at very competitive price. We have recommended CC to several of our friends and co-workers and they were all extremely pleased with the results. Conservation Construction replaced our windows and we are very satisfied with their professional service and the great windows. We have double hung, sliders and casements. They all look and work great. The installers did a great job and cleaned up well after themselves. (There was a small hiccup about install date, but it was remedied completely to our satisfaction).The office staff is quick to return calls and answers all questions. All the employees at this company care about the customer and their complete satisfaction. I recommend both the company and windows. Thank you Conservation Construction. Replaced our windows, and immediately noticed a decrease in how hot the house got in the summer sun....less air conditioning! Then in winter, the house stayed warmer....less furnace. Easy to operate and clean.Best improvement to our house by far. The installation crew was amazing, skilled, neat, respectful of our space. Our experience with Conservation Construction has been excellent! The sales people have been knowledgable and professional. I appreciate honest recommendations with out feeling pressured to go with more expensive products or things we do not need. The installation process has been very positive as well. They are considerate and friendly while doing and exceptional job! The windows are easy to clean and operate. We have enjoyed energy savings year round as the windows help to block out heat from the sun in summer. Gone are the original builder grade windows that allowed heat loss in the winter months. I recommend Conservation Construction and their products as the people and products are exceptional! Conservation Construction delivers what they say they can deliver. The windows and 3 panel patio door we installed in our home are of excellent quality, keeping the cold and heat at bay, easy to clean and beautiful. To top it off, their installation team is absolutely TOP NOTCH. Great company to work with. Fast and reliable service. The windows are the best you can get for the price. All of my windows were done by them. Conservation construction worked quickly to get the job done. We replaced all our windows and sliding doors and are very pleased with how they look and operate. No more frosted windows and we can tell the heat/cool stays in much better compared to our old windows. Also love that they will come out free of charge to repair or look at anything you need fixed or repaired. Would definitely recommend. This company offers custom built windows of the highest quality. When they were delivered and installed the windows were beautiful. The all operated perfectly and the installers were meticulous in their work.I've talked with lots of window and door replacement representatives and found this company to be easy to work with on all aspects of the project. They contacted the HOA, obtained permits and coordinated measuring and installation and they did so with high marks in customer service. 5 stars is perfect. Nobody is perfect. Conservation Construction is pretty damn close though. Our house was built in the mid 70's. It had aluminum single pane sliding windows. We needed something more up-to-date and energy efficient. In steps CC. First off, the salesman we dealt with, Monty, was an absolute pleasure to do business with. He didn't come in all pushy. He was friendly and explained things. Actually he was a hoot. He made sure, because we had faux marble window sills, that they got replaced with nice pieces of oak. He was followed by a paint tester a few days later who checked that our paint was not lead based. Shortly there after was the crew to measure all the windows and firm up the install date. On the install date the crew showed up, introduced themselves, set up their equipment and got to work. I was surprised that two guys could manage to replace the windows. I was expecting a lot more than two guys. However, they were no nonsense. One guy was removing windows and the other was doing the install. Until it came to the patio sliding door. They worked that together. They caused no damage to interior or exterior walls. When they were done you couldn't tell the windows had not been installed when the house was built. Seams were tight - no gaps - neat. When they were finished they cleaned up every little speck of dust. You couldn't tell they had ever been there. Then we received a call asking if everything was done to satisfaction. The entire experience was a good one. I'm glad we settled on CC to do the job. We've been happy ever since. Even two years later when a wheel on the sliding screen on the patio door broke. I called and they offered no excuses. Only that they would order a new screen door. About a week later the screen door was replaced. Again they called to check that we were satisfied. I don't think you can go wrong having these guys do work on your home. Conservation Construction has provided an exceptional product and excellent service. We replaced the windows in our home over several years. They would call each spring to see what we would like to do that year. After a severe hailstorm, their technician promptly came by to repair the screens free of charge. Each workman was clean and neat with the work, leaving the work area in great shape upon departing. And our windows save us on our energy bill and keep the interior temperature stable. Very happy with my experience with Conservation Construction! Great people, quality product and very easy to do business with. Highly recommend! This is the second home Conservation has done for us, and in both instances we got a quality window at a great price! The installation was as painless as possible and included great attention to detail with the exterior molding. We did have a problem with one window, and they replaced the sash promptly and there have been no issues since. Their "no questions asked" warranty service is second to none!Would definitely recommend! Have had several windows/doors replaced by Conservation Construction each time they're fast, efficient, and helpful. When the city comes to inspect they comment on the excellent install, and how this is typical of Conservation Construction's work. I had Conservation Construction replace the builder's grade vinyl windows in my 2-story home several years ago and could immediately feel and tell a tremendous difference. The project was very reasonably priced and installation was nicely done. I was impressed and had CC come back the next year and replace a large sliding door. Two years ago, I had them replace all of the windows in my basement (3 five foot wide double sliders and 1 four foot one) . One thing that I have noticed aside from the great products and service is that, over several years time, that some of the same employees came back and did the work, and to me, that indicates that this is a quality company and a good place to work. Very pleased with the entire process. Windows look and perform great. One of our windows was installed two months late, but the work quality was excellent, the installers and salesman professional, and they left the condo unit very clean. Windows seem to be of great quality. I would use them again. Everything went great, from sales to installation. We had our windows replaced and there were zero issues, professional company, awesome product. I will use them again. This is the second installation that conservation construction has completed for us. We had windows in a previous house replaced 17 years ago and 2 sliding glass doors replaced in our current house. I couldn't be happier. Doors look great and seal perfectly. Steve was great to work with and the installers, Raul and Carlos were fantastic. I would recommend them to everyone. The windows that we had installed are top quality. The installation crew is completely professional and leave the area better than they found it. Would recommend Conservation Construction to anyone I know. This is the third year in a row that we have used Conservation Construction for our windows. We have over 35 windows and twosliding glass doors in our house. Their program allows us to replace any four windows per year no matter what the size. This helps us manage our budget. Paul, our salesperson contacts us every year to set up a time to sit down and discuss our needs. The installation crews have always been very punctual when arriving to do the work. We have been very happy with the entire process. For over 28 years we have been rated number one among our customers, providing excellent service and professional window and door installation as well as siding. All our products can be customized to fit your home needs and wants. Get the home upgrade that will last, and have your home looking beautiful for years to come. We service all of the Metro Denver Areas. We provide professional Installation. With over 28 years under our belt, we know a thing or two about proper and safe installation. Yes, we have experience with lifetime windows because we want them to last a lifetime for you. Our exclusive windows are beautiful, elegant and custom made. Our C5 Windows will have your home looking beautiful and, most of all, protect your home against the elements. 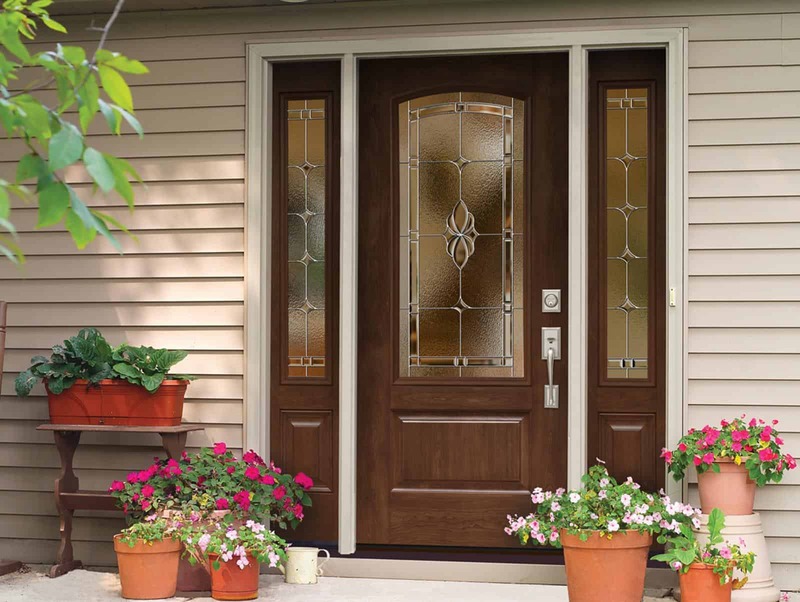 Quality made, our entry doors will have your home looking beautiful and secure. Plus, with our experienced installers there is no doubt that you will have made the right choice with Conservation Construction. Give your home more light with a better, more reliable patio door. Customize your style of patio door to look and operate the way you want. With our wide selection of siding you'll be able to choose the one that's right for you and your home. Pick the exterior color of your windows. With our custom windows and doors you will be able to make it your own and unique to anything else in the neighborhood. We work with several companies to get the best rates to remodel your home. 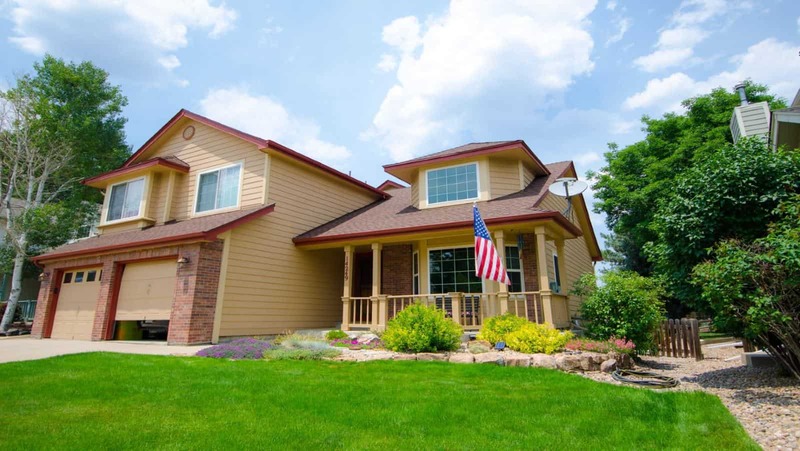 Not only do we have one of the best windows in the the country, we are also locally owned and operate here in Colorado. Going above and beyond for our customers is our standard. We amaze our customers not only by being professional and courteous, but if something goes wrong, we like to make things right. We like to go above and beyond for our customers. That's why we are commonly recommended to neighbors and colleagues for exterior home improvements. That's right! We back up our products with a lifetime warranty- just ask your sales representative about it. Our products are virtually maintenance-free. That means that you'll be spending more time on the things that matter to you. Our professional service speaks through our customer reviews and top-notch product. We commit 100% of our effort into correct measurements and proper installation. Since 1989 we have provided high quality windows , doors and siding backed with our professional installation and warranty. Adress: 8101 W. Colfax Ave.